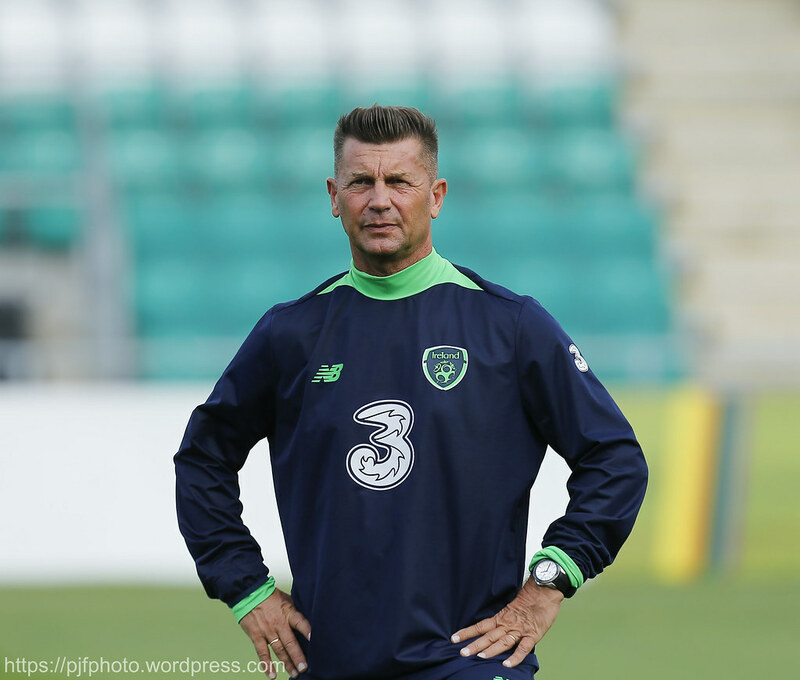 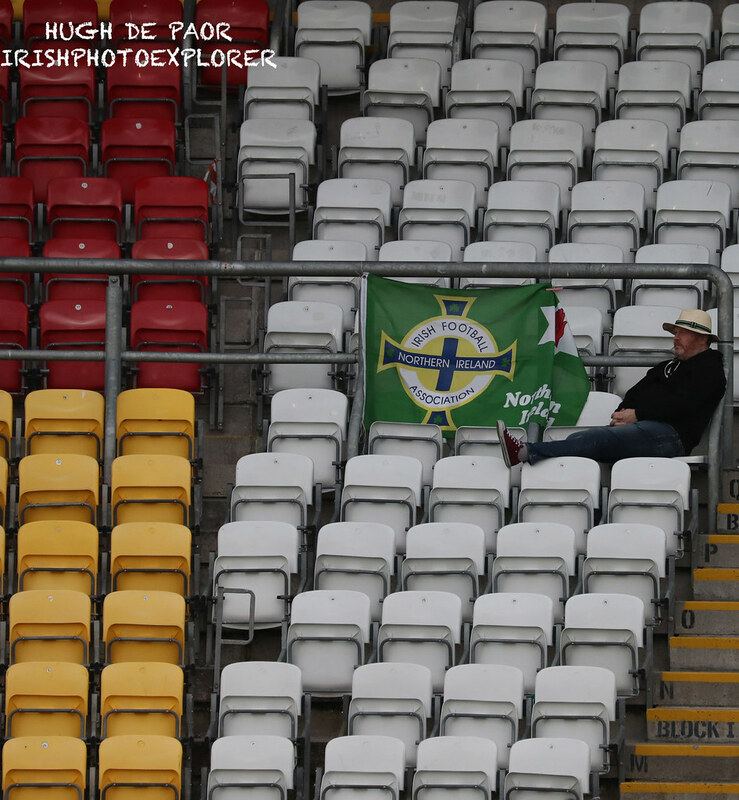 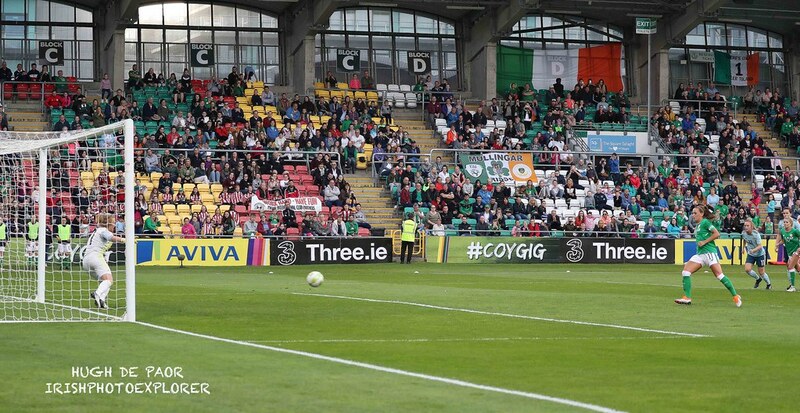 Borders, backstops, and Brexit mattered little in Tallaght Stadium on Friday evening, as the Republic of Ireland and their Northern counterparts ended their 2019 World Cup Qualifying campaigns in the same way that it began. 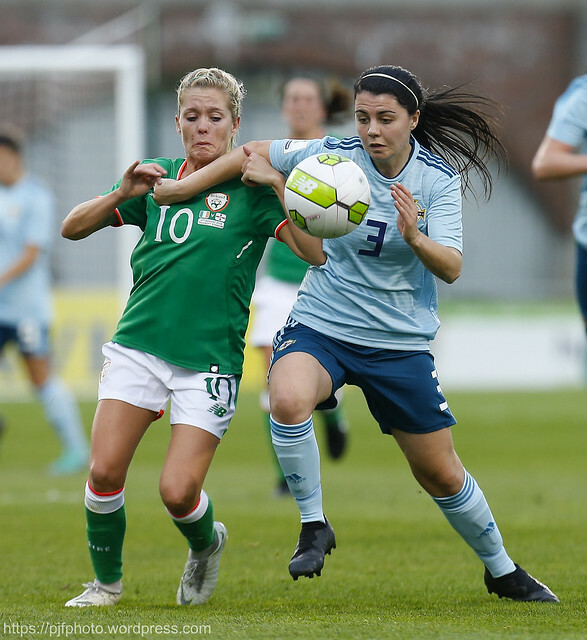 Colin Bell’s side emerged 2-0 winners when the sides kicked off their respective campaigns in Lurgan last September, setting the ball rolling in the quest to feature in the eighth FIFA World Cup, set to take place in France next June. 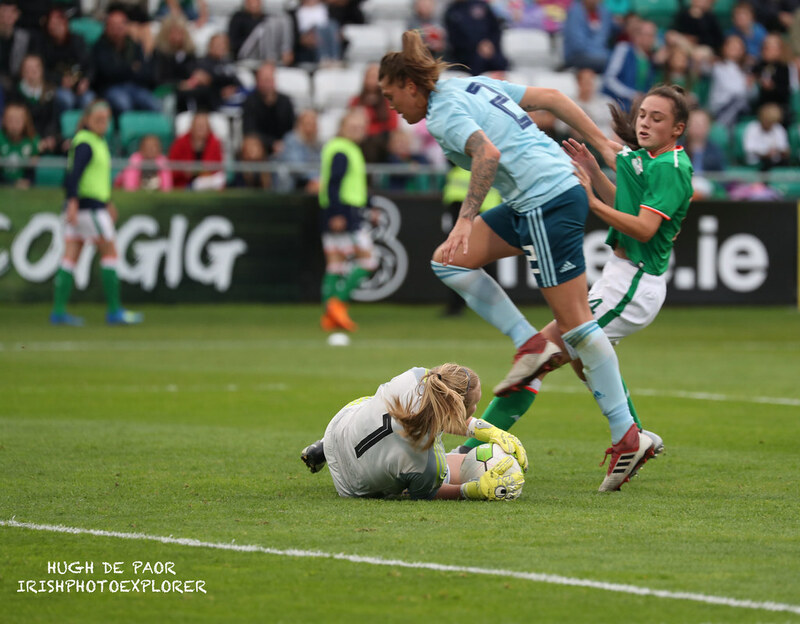 That quest ended at the hands of second-place finishers Norway back in June, meaning that this encounter was effectively a dead rubber, with the home side locked in third position,five points behind Norway and seven above Northern Ireland. 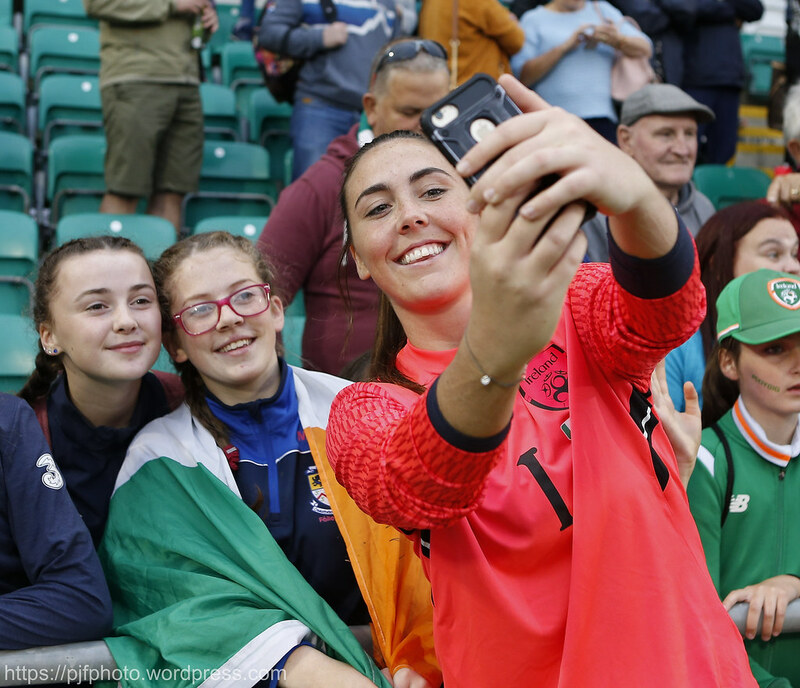 And yet, the Republic of Ireland supporters in the 1,603-strong crowd will have left in good spirits thanks to a commanding collective performance, as well as some superb individual displays, not least from player of the match Leanne Kiernan, who added another brace to her international tally. 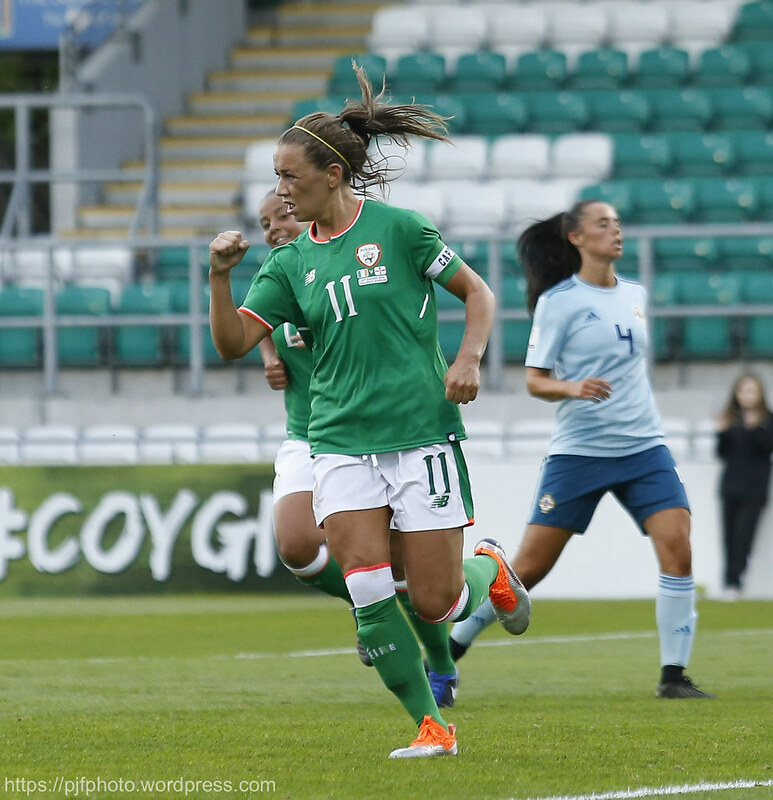 Kiernan would strike after just three minutes, slipping through the Northern Irish cover to take down a perfectly weighted Diane Caldwell pass, before delicately floating the ball over the advancing net-minder Jacqueline Newman. 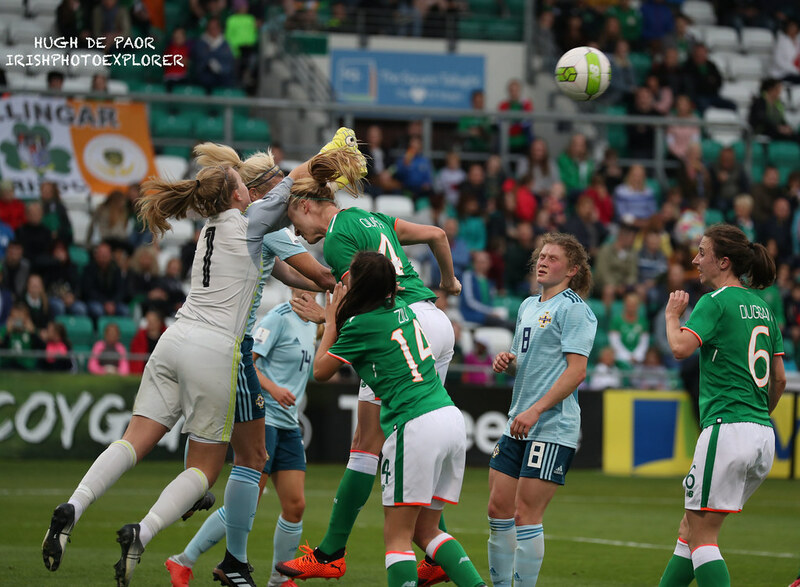 It needed just the one bounce to make it to the net although time seemed to stall in the process, as it tends to in those situations. 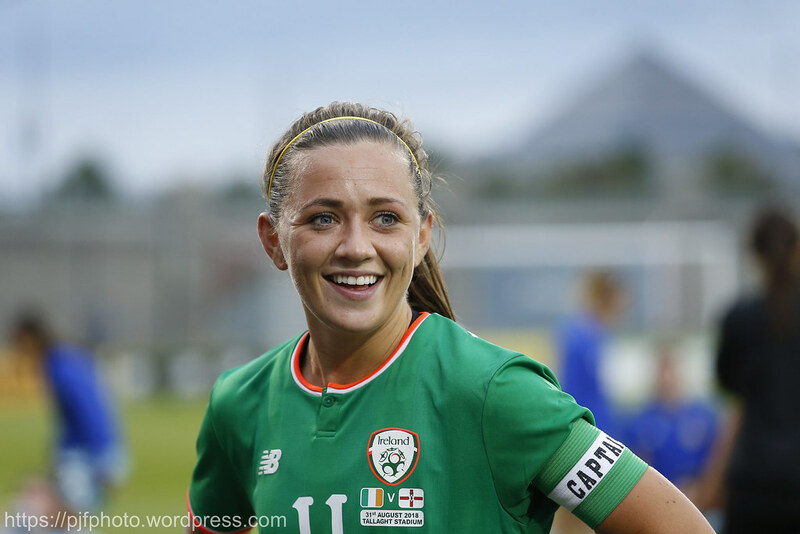 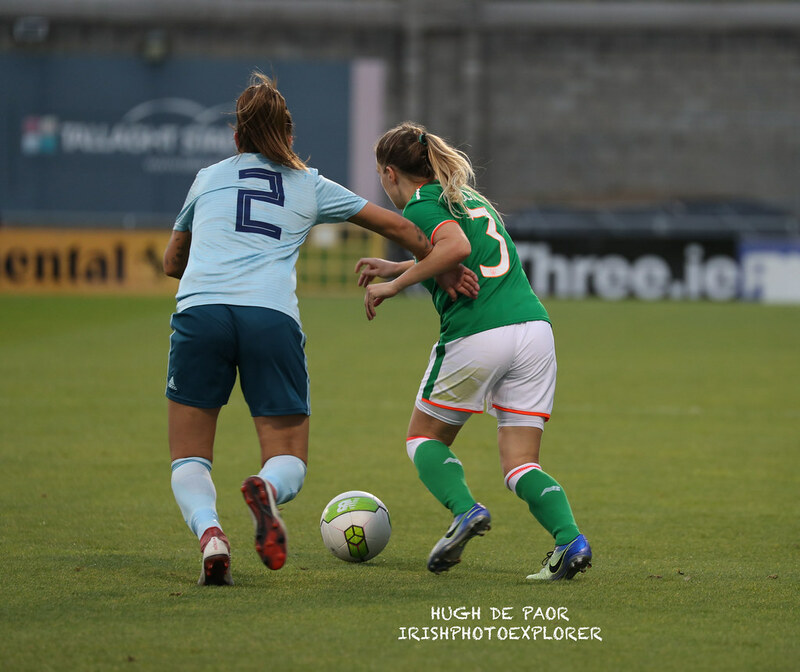 That was Kiernan’s first piece of ingenuity in a game that witnessed many moments of brilliance from both her and the team around her, some of which was due to a lacklustre Northern Irish display that afforded the home side plenty of space and room for manoeuvre. 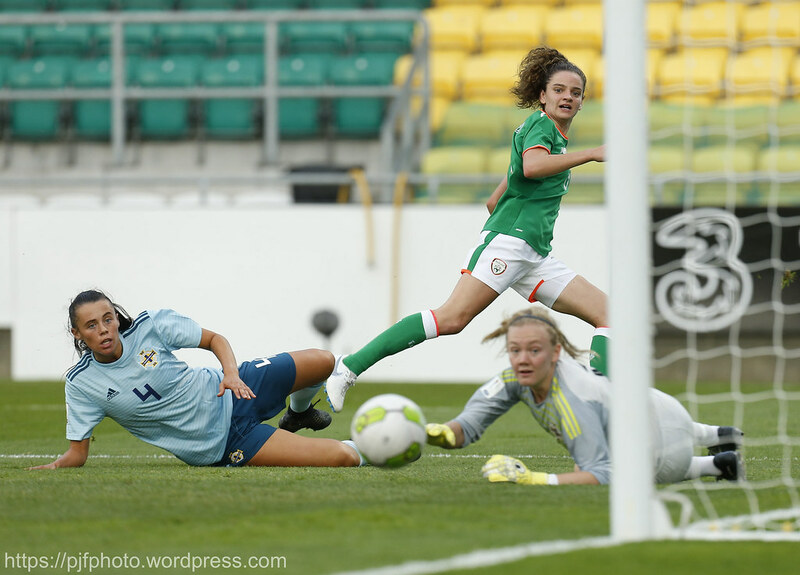 Balieborough native Kiernan was also the genesis of Ireland’s second goal on 12 minutes, sliding the ball back to Tyler Toland, who called Northern Ireland keeper Newman into action with an effort from outside the box. 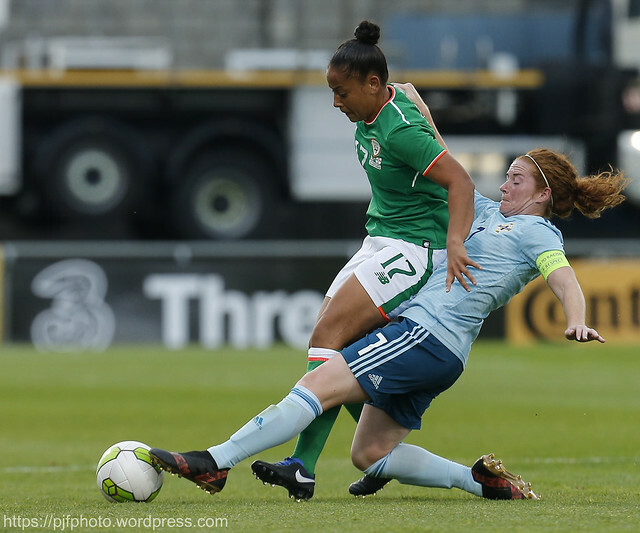 The composure of Wexford Youths attacker Rianna Jarrett which stood out on this occasion. 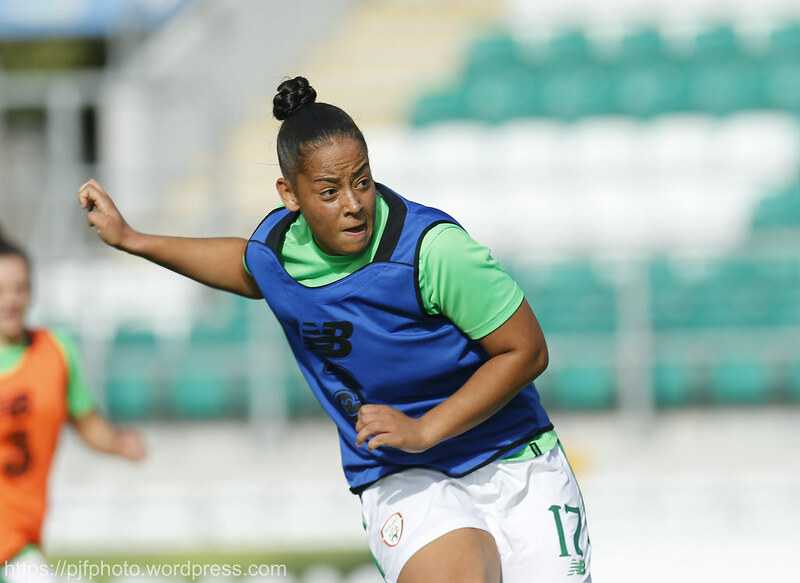 Jarret was making an incredible return to action in the green jersey after reviving herself from a third cruciate injury, and she fought the instinct to turn and shoot after Toland’s strike was padded sideways by Newman. 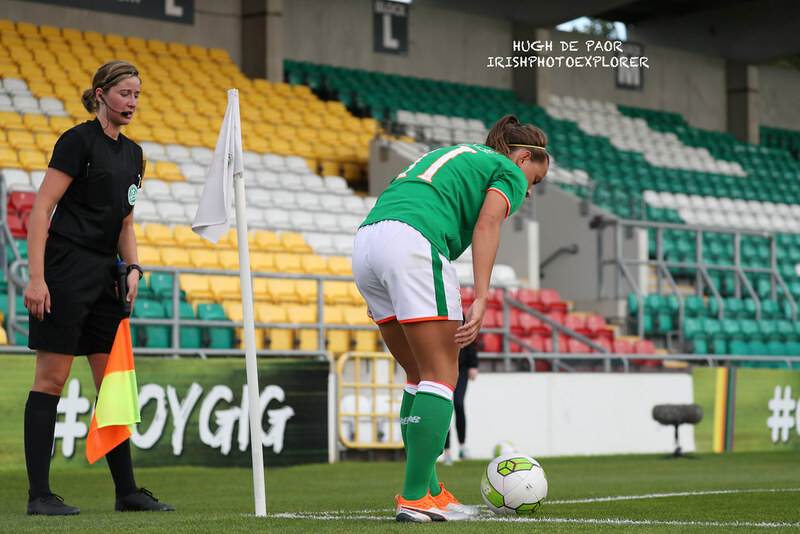 She cut the ball back for Katie McCabe, who arrowed it into the roof of the net, building on the brace she had scored for club side Arsenal in their first League outing of the new season two weeks ago against West Ham. 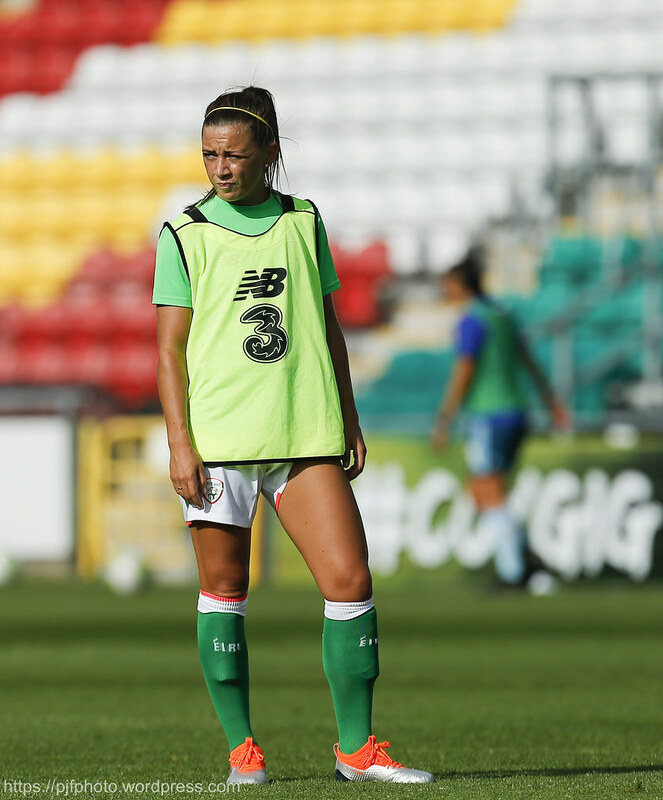 Ironically, Kiernan was on the wrong side of that fixture, having just been snapped up by West Ham from Shelbourne in July, though her confidence clearly hadn’t been dampened by the loss. 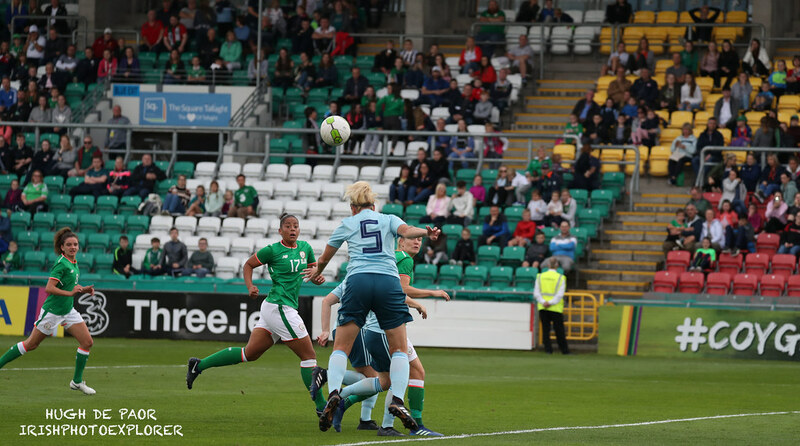 The 19-year-old doubled her tally and tripled Ireland’s on 27 minutes, midfielder Denise O’Sullivan cleverly threading her through with an inch-perfect pass, leaving Kiernan to control, hold, and then side-foot the ball past the advancing Jacqueline Burns. 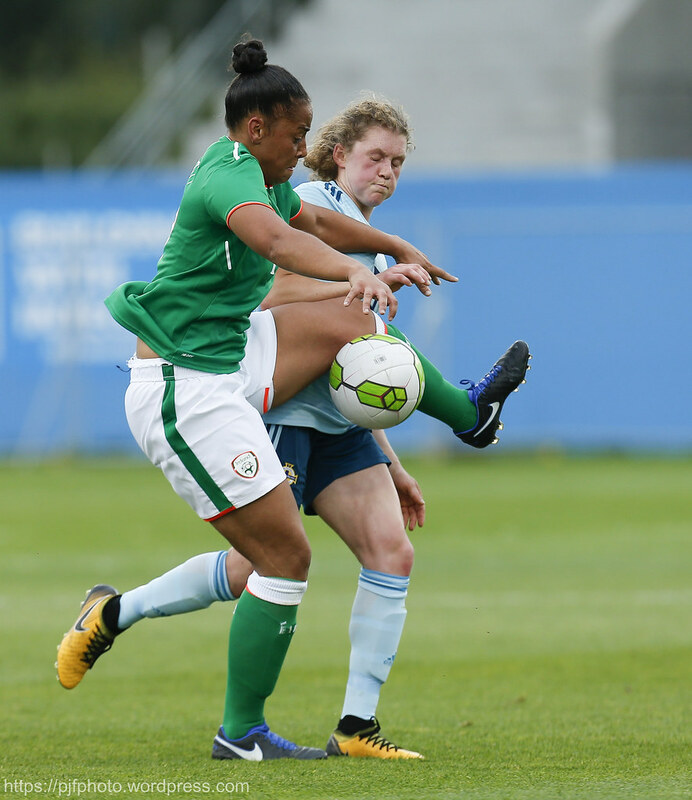 The Cavan woman could well have had a hat-trick but for the offside flag, which outlawed a well-judged volley some moments before, but it was enough to put the game to bed and kill any remaining hope in the Northern Irish camp, who fought hard but were unable to keep pace with Ireland’s deft passing and fluent movement. 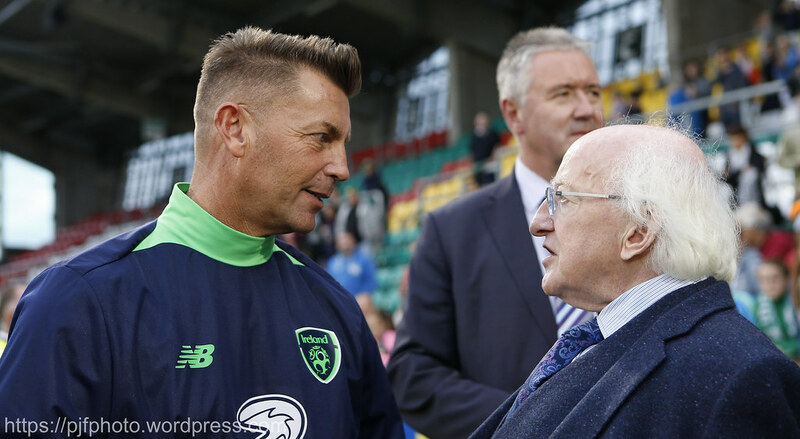 Ireland continued to dominate in the early stages of the second-half, with much of the play focused on the west wing of the ground this time, right in front of a jovial Irish crowd, with a noticeably high proportion of younger fans. 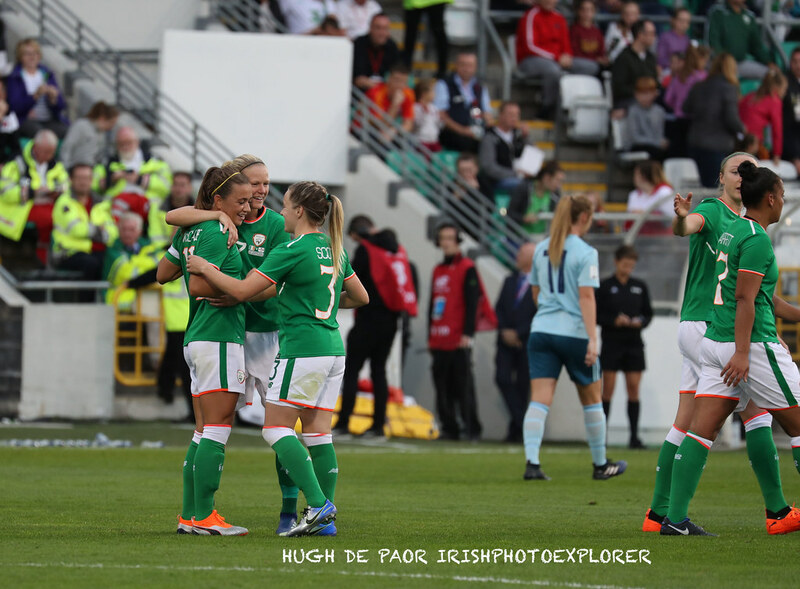 Wing-back Harriett Scott, Denise O’Sullivan, and Kiernan were working seamlessly up that right flank, the latter duo posing as the architects for most of Ireland’s attacking moves, while Kiernan added the finishing touches. 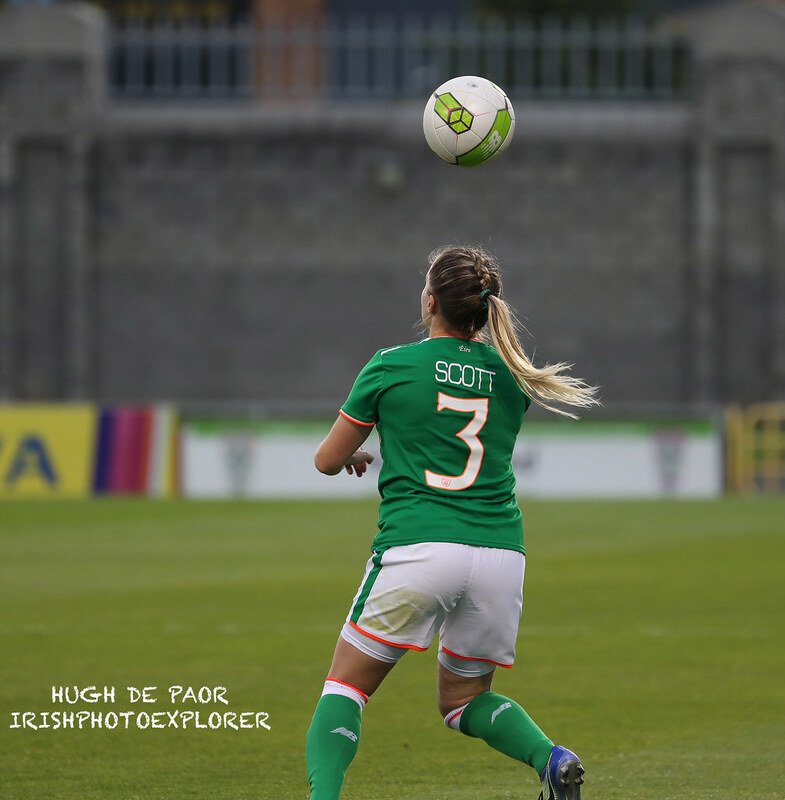 Indeed, it was Scott who managed to break inside the Northern Ireland line on 57 minutes, looking like she would add Ireland’s fourth before being ankle-tapped by keeper Jacqueline Burns, who had little choice but to throw herself for the ball. 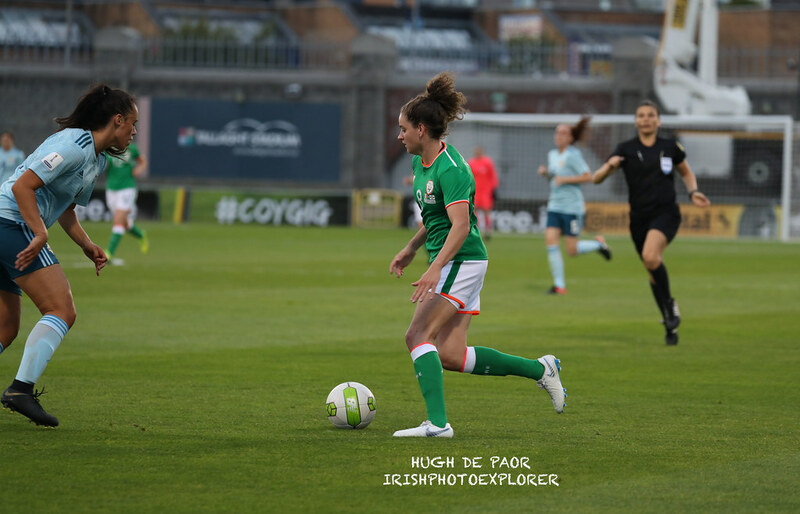 Up stepped McCabe to net her second from the penalty spot, sending Burns to her right and the ball fractionally left of centre, thus completing Ireland’s tally on the night. 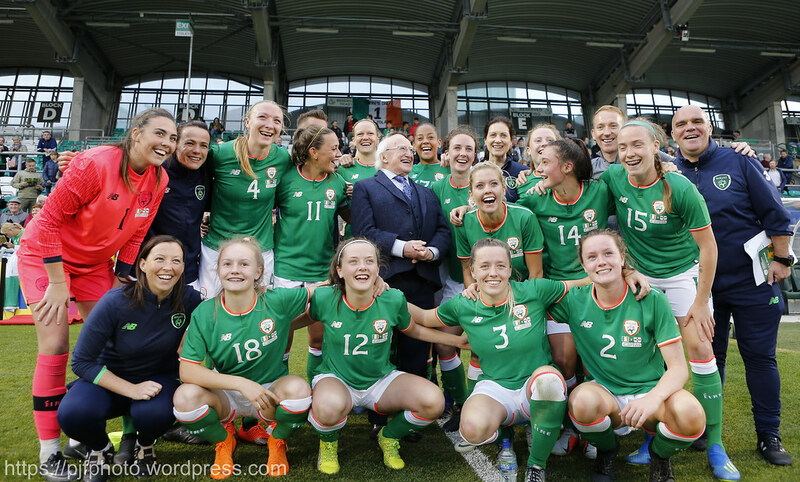 Ireland continued their dominance for the remainder of the game, ending their World Cup qualifying campaign to a chorus of applause at the final-whistle, and even receiving a Presidential endorsement from their most ardent fan, Uachtaráin Michael D Higgins, who joined them on the pitch afterwards. 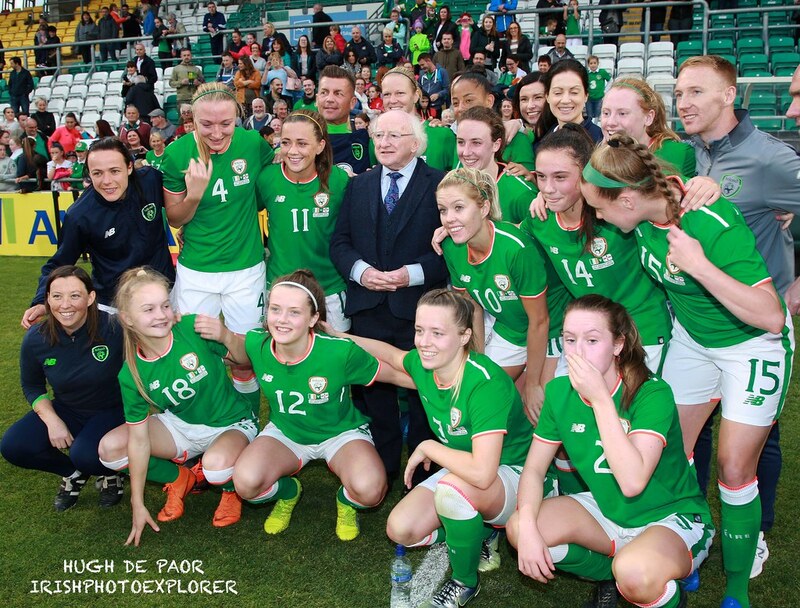 This one may benefit the President as much as the team itself, as he switches into election mode for the next 26 days. 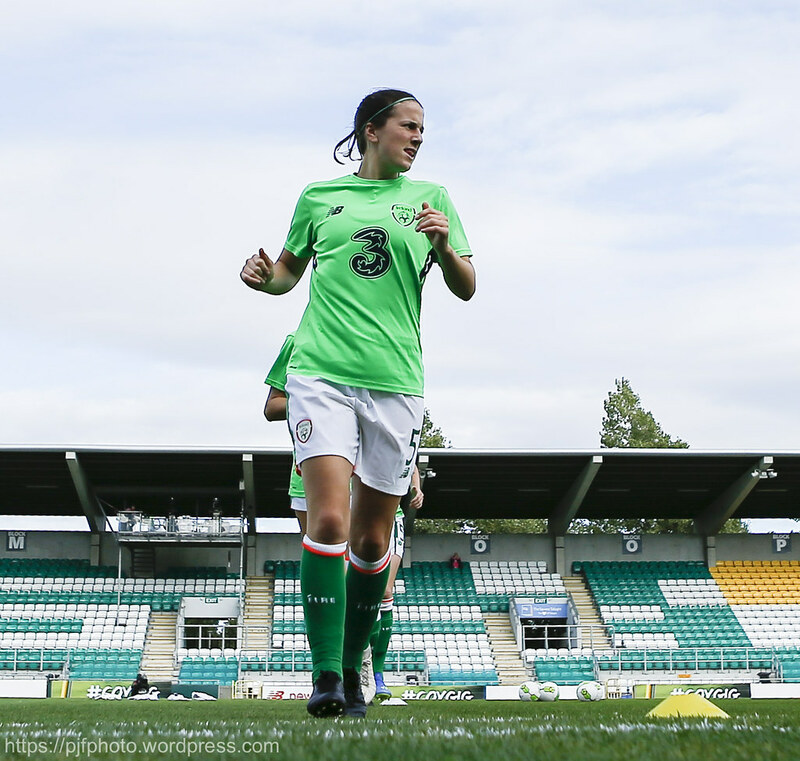 The Irish women on the other hand, will switch their focus back to club duties, with the 2021 European Championships the next major event on the horizon for them. 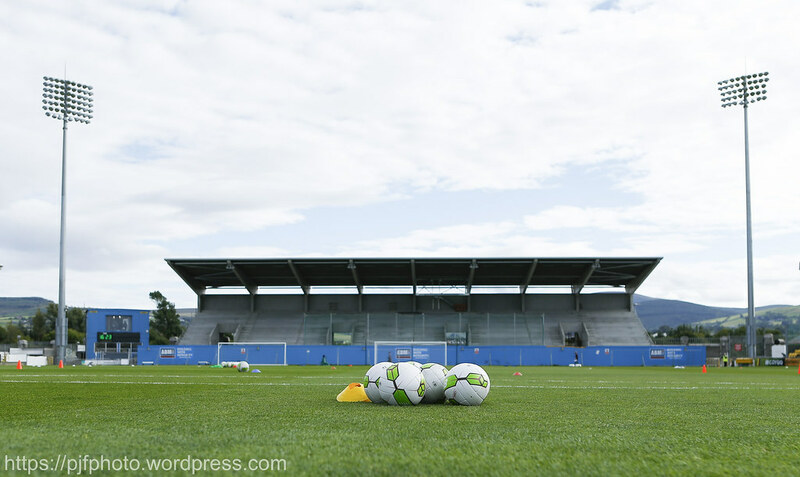 The destination for that event will be chosen next February, with Austria, England, and Hungary all in the running to host the competition. 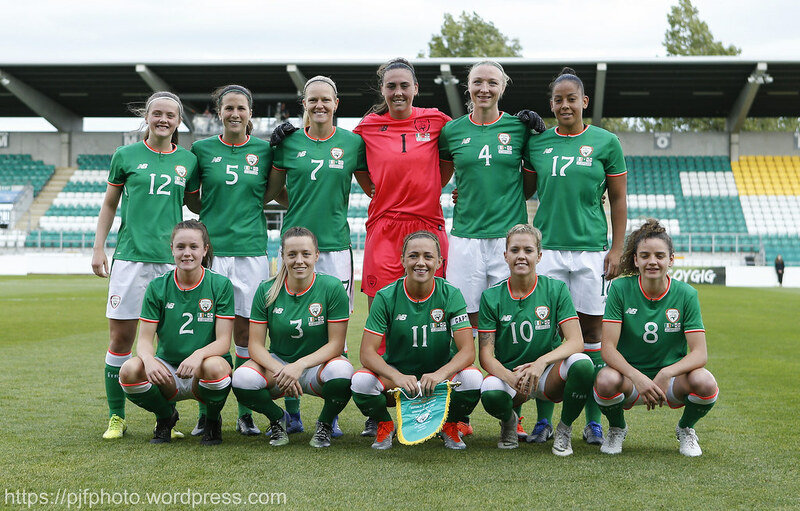 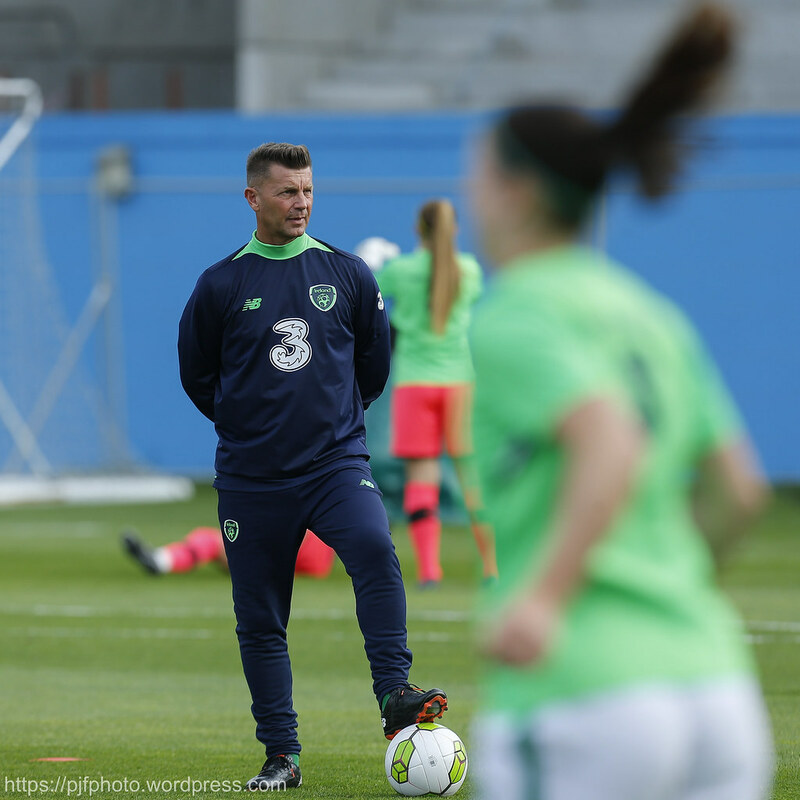 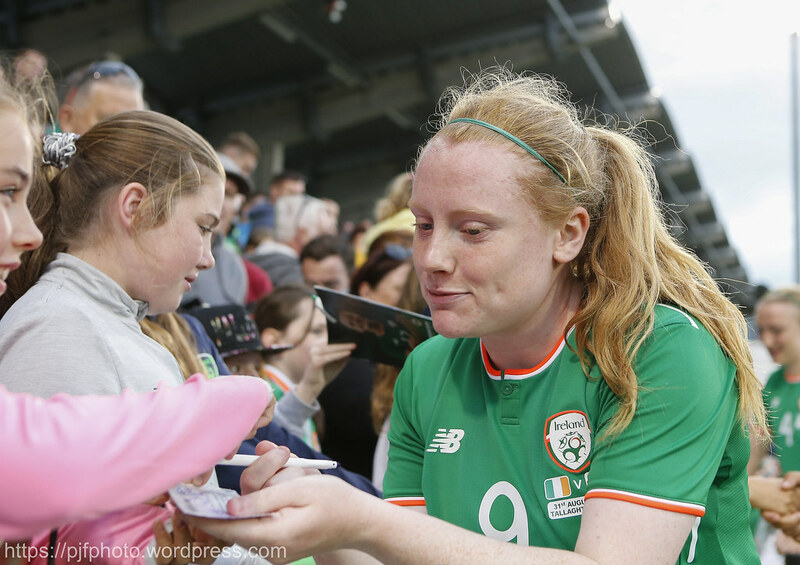 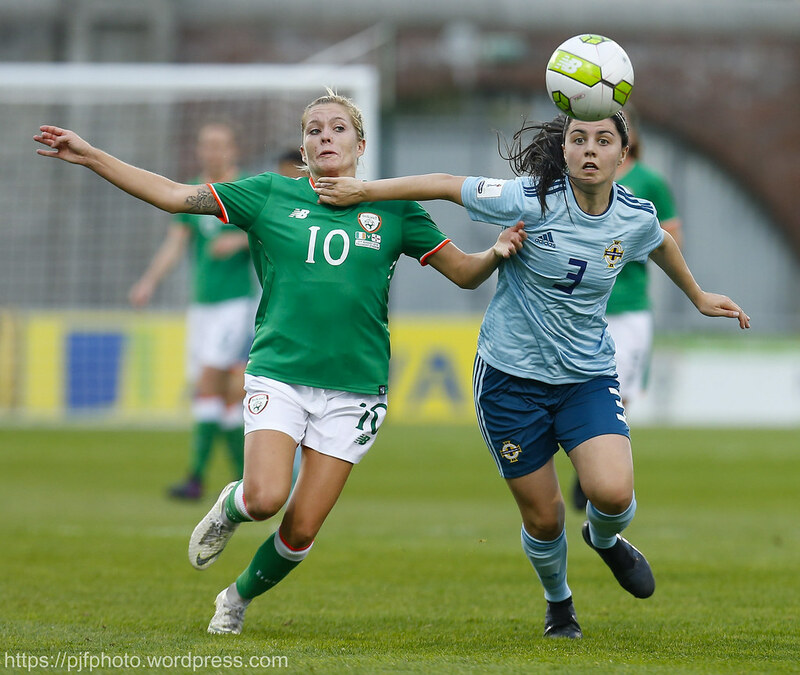 Republic of Ireland: Amanda Budden; Heather Payne , Diane Caldwell, Niamh Fahey, Louise Quinn, Harriet Scott; Denise O’Sullivan, Tyler Toland (Karen Duggan 61), Katie McCabe; Leanne Kiernan (Amber Barrett 88), Rianna Jarrett (Jessica Ziu 77). 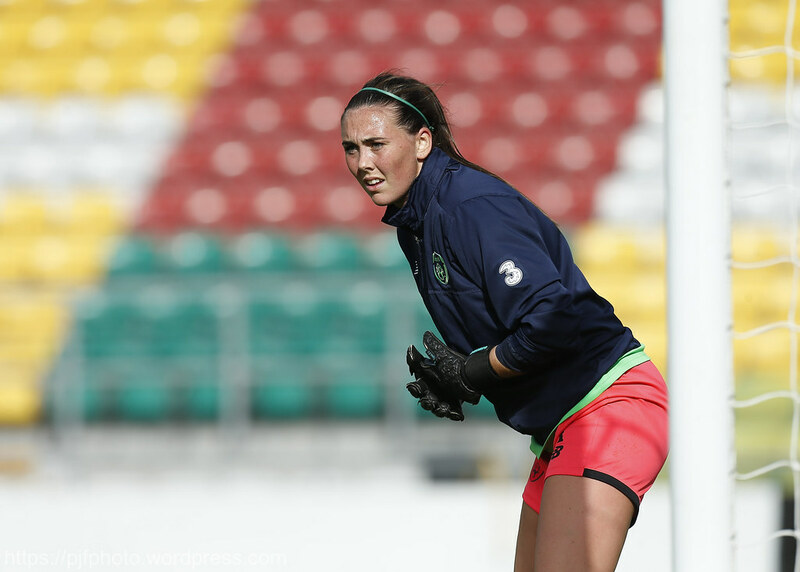 Subs not used: Grace Moloney (gk), Claire O'Riordan, Aine O'Gorman, Isibeal Atkinson. 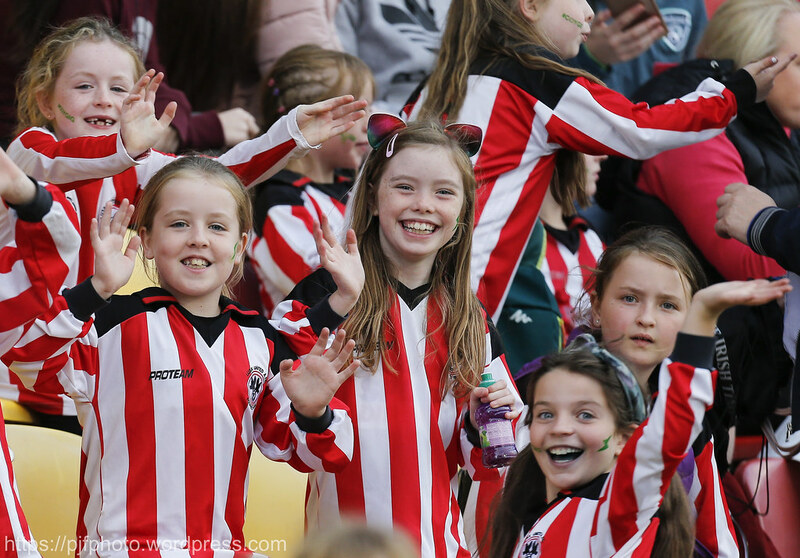 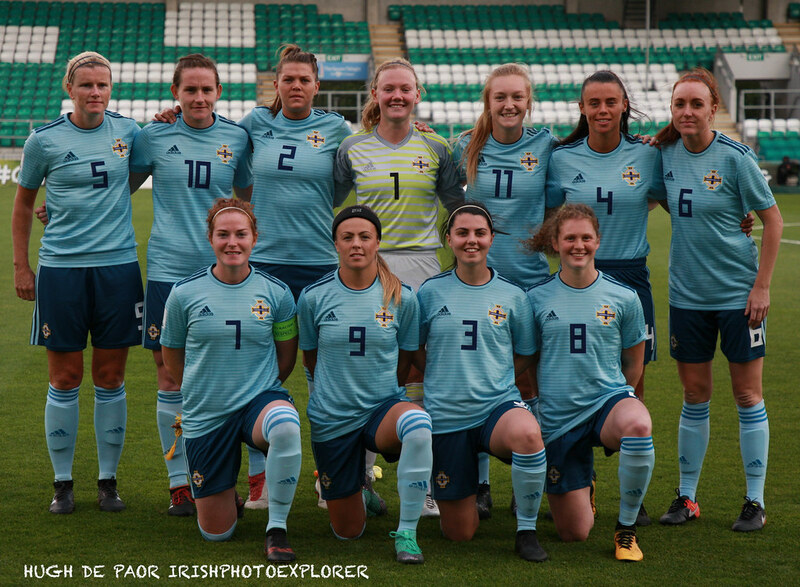 Northern Ireland Jacqueline Burns; Billie Simpson, Laura Raffety, Julie Nelson, Jessica Foy: Caragh Milligan, Sarah McFadden (Freya Holdaway 74), Marissa Callaghan, Lauren Wade (Rebecca McKenna 72); Kerry Montgomery (Megan Bell 62); Simone McGill. 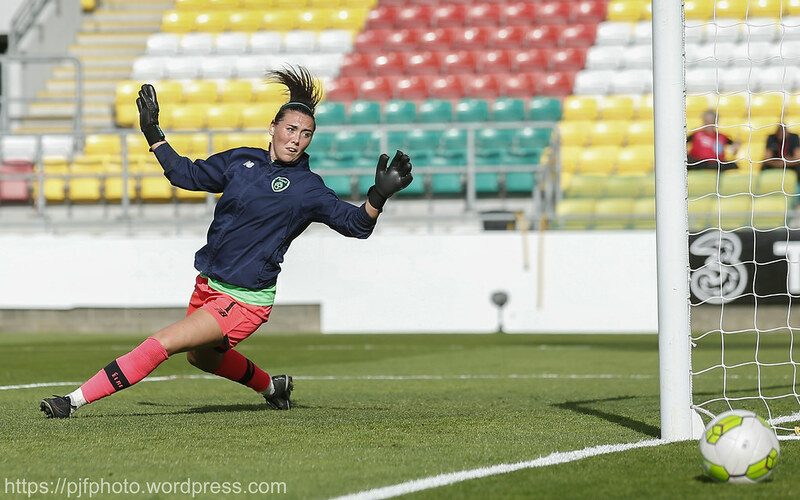 Subs not used: Emma Higgins (gk), Catherine Hydeman, Emma McMaster, Louise McDaniel. 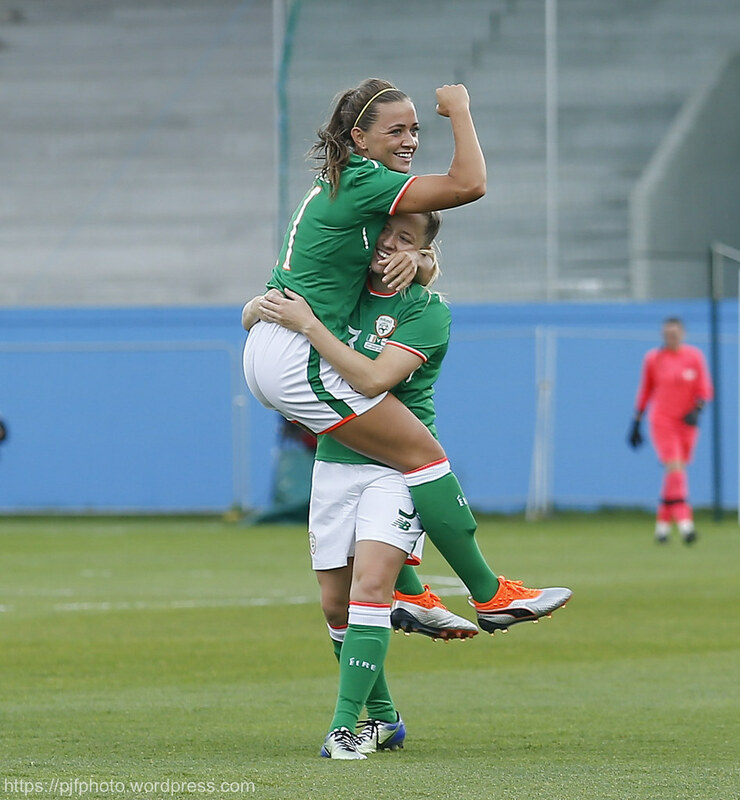 Extratime.ie Player of the Match: Leanne Kiernan (Republic of Ireland).